Uncle Henry's Golden Spike Knife embodies the old traditions of the American west - durability, keen edge, and long lasting. 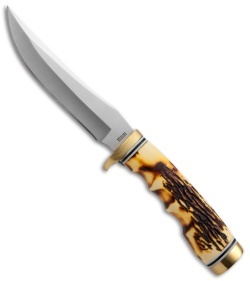 It features a stainless steel clip point blade, Staglon handle and satin finish. The handle features polished nickle silver guard and pommel. 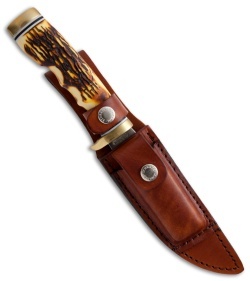 The Golden Spike comes with leather sheath and sharpening stone.